We are given polygons embedded in 3D space which may intersect arbitrarily. 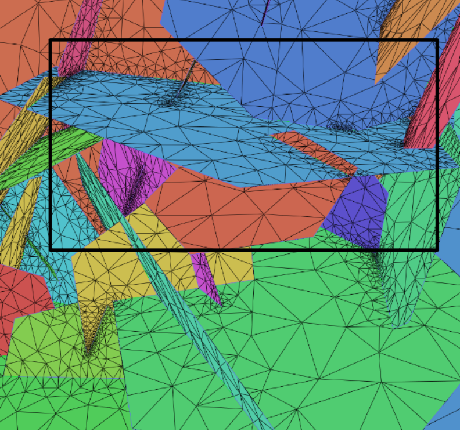 We triangulate the polygons with the CGAL 2D Mesh Generator such that they have high quality triangles, and at the same time share triangle edges where polygons intersect. 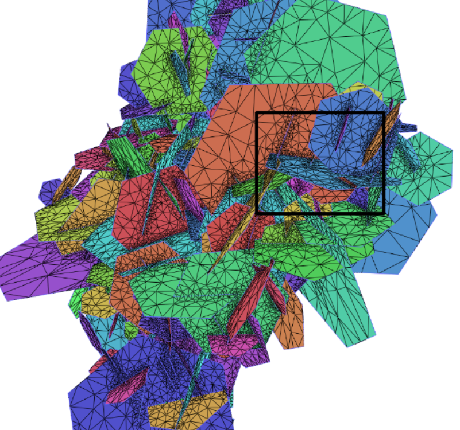 We plan to work on the performance, but also on clipping polygons that stick out only very little which results in too many small triangles which are not useful for simulation. 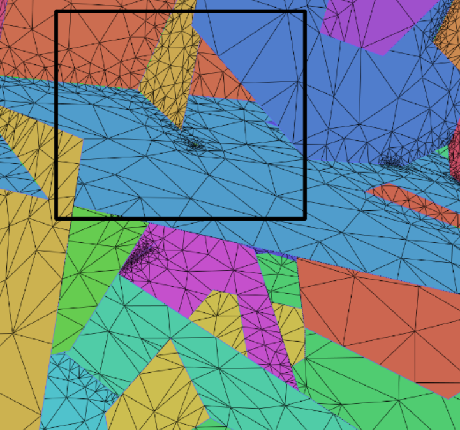 It is also rather straightforward to not create quality triangles on polygons marked as uninteresting. 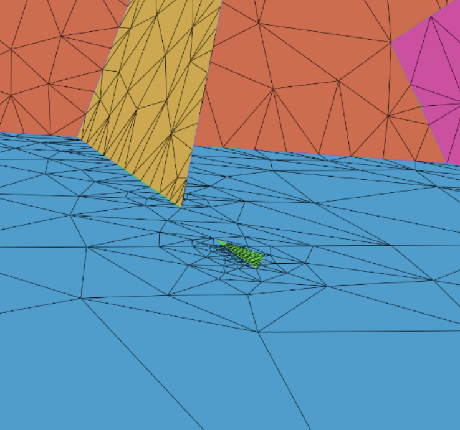 It would further be possible to add polylines in space which model wells, and which intersect the polygons. The triangle size could then also made dependent on the distance to the well-polygon intersection.